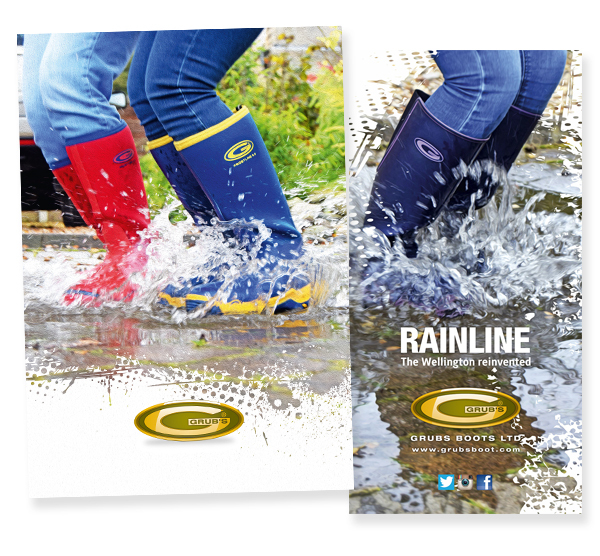 New product brochure and advertising for Grubs featuring the new Rainline wellington range. 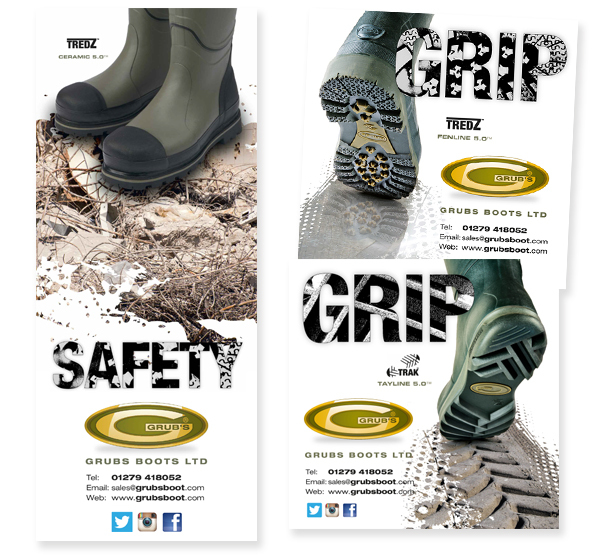 New product launch for Grubs Boots. Launch of Tayline boot with ‘Tractor Grip’ concept. Redesign existing adverts/exhibition panels to fit in to the latest style.